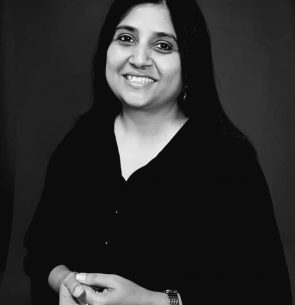 Padma, Engagement Lead – APAC at Cprime Inc, is an enthusiastic IT professional with 24 years of experience in total and over 15+ years in IT with expertise in driving strategic initiatives, Coaching & Consulting, Product Development Mentoring, & Training and Solution Design. This experience is coupled with strong leadership, communication, analytical, problem solving, and customer service skills. She has strategized large agile transformation journeys for Target Technology, Philips Healthcare, Honeywell Technologies and Syniverse Technology Solutions. She is currently driving the Enterprise Agile Transformation for Lowes Corporation in the capacity of Engagement Coaching Lead. Her roles includes designing and driving the transformation journey for Lowes. In this role, Padma is helping Lowes rebuilding the organization structure to enable transformation success, developing roadmap both on practices and on tools for transformation and setting up the team to implement and execute the transformation journey. Padma has rich hands-on experience in implementing agile software development frameworks such as Scrum, Kanban, Lean, SAFe, TDD and DevOps practices and also approved SPC (SAFe Program Consultant) co-trainer from Scaled Agile Institute. She also brings in expertise in Lean Startup and Design Thinking which she uses effectively with agile flavors to help organizations in achieving their goals of faster to market with high quality. Padma is on mentor and expert panel of Mass Challenge (Startup accelerator program at Boston) and is involved in selection of startups for the accelerator program and mentoring the selected startups in their journey.